On March 15, Bend Senior High School students will join what is expected to be hundreds of thousands of students nationwide in the Youth Climate Strike. The—now global—movement of youth protesting the inaction of world leaders in the face of climate change all started last year with one 16-year-old Swedish girl staging a sit-in on the Swedish parliament to raise awareness about the climate crisis. In a 2018 report from the United Nation's Intergovernmental Panel on Climate Change, the world's leading climate scientists reported that human-caused emissions of carbon dioxide would need to fall by 45 percent from 2010 levels by the year 2030 in order to avoid long-lasting, or possibly irreversible, changes — such as loss of ecosystems. According to youthclimatestrikeus.org, the Youth Climate Strike calls for a transition of from fossil-fuel reliance to renewable energies by the year 2030, a halt on all fossil fuel infrastructure projects and demands that all decisions made by governments regarding climate change be based in scientific research, among other demands. 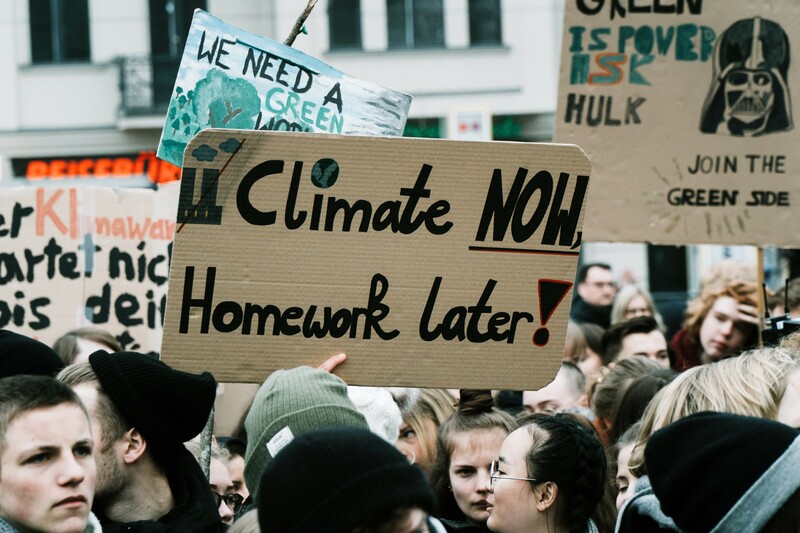 In a press release sent to the Source, Bend Senior High School senior Isabel Merel said that climate change requires action now—and that waiting until the next election to enact change is too late. “I am beyond proud to be participating in this global movement," Merel said. "I think it is an incredible example of not only the power of this generation and a strong indication of what’s to come as we grow into adults, but also of how one small voice — the voice of Greta Thunberg — can become a worldwide call to action." Bend Senior High School students will leave class 30 minutes early to join the global protest on Friday at 11am.